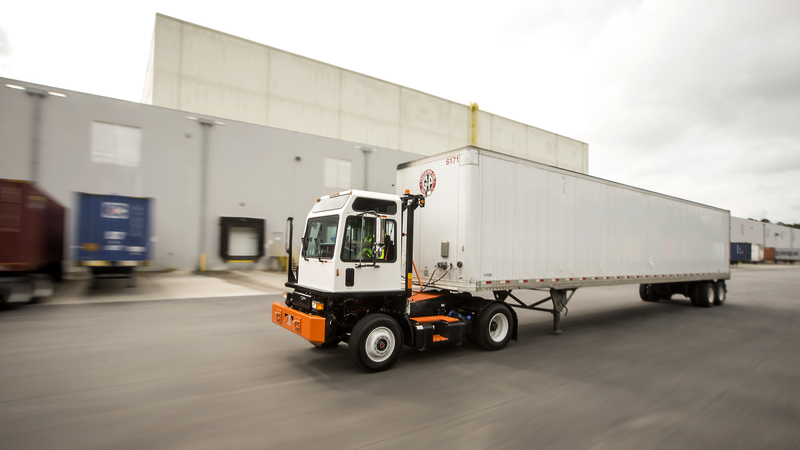 SAVANNAH, GEORGIA – TICO Manufacturing, the world’s fastest growing terminal tractor manufacturer, has announced that it has signed an agreement with Power Solutions International, Inc. (PSI) to provide TICO with gasoline and alternative fuel engines. TICO terminal tractors are used at distribution centers, rail terminals and ports. As a leading terminal tractor manufacturer, the Company was seeking to offer alternatives to the traditional diesel engine. By entering this relationship, TICO and PSI are building a strong position in the marketplace to capture emerging opportunities with their family of gasoline, LPG, LNG and CNG engines. Under the agreement, PSI has designed and will integrate an entire family of customized gasoline and alternative fuel engines into TICO Pro-Spotter terminal tractors. PSI’s 8.8-liter engine and Allison automatic transmission are designed and tested to meet any demand. The TICO Pro-Spotter combines the most durable yard tractor in the industry with the lowest cost of operation and with maximum uptime – now with many fuel solutions. The relationship with PSI will offer TICO’s customers more choices and at the same time bring them product design solutions that are important to their operational and community goals. TICO has been a pioneer in fleet services, terminal services, and terminal tractor manufacturing, for over 46 years. Born in the ports, the TICO Pro-Spotter is a product with the most effective R&D strategy in the yard tractor market today. And from that experience as an OEM manufacturer, TICO has been able to operate and maintain a fleet of over 1400 yard tractors across North America. PSI is a leader in the design, engineering and manufacture of emissions-certified alternative-fuel and conventional power systems. PSI provides integrated turnkey solutions to global original equipment manufacturers in the industrial off- and on-road markets. The company’s in-house design, prototyping, engineering and testing capacities allows PSI to customize clean, high-performance engines that run on a wide variety of fuels including natural gas, propane, biogas and gasoline.